I’m always looking and trying new salads. With the holidays here, there are a lot of opportunities for pot luck dinners. 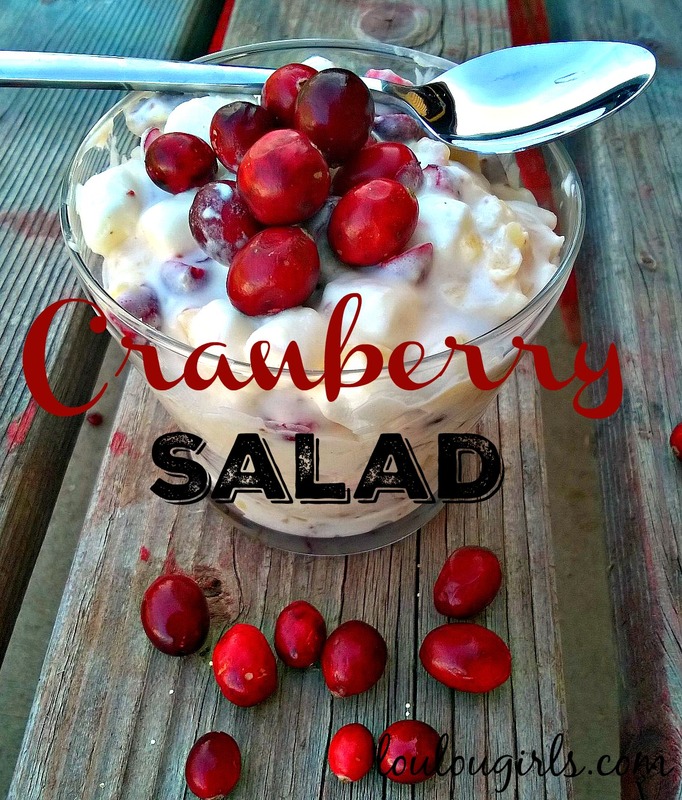 This is a twist to the ordinary salad and a pleasant surprise! 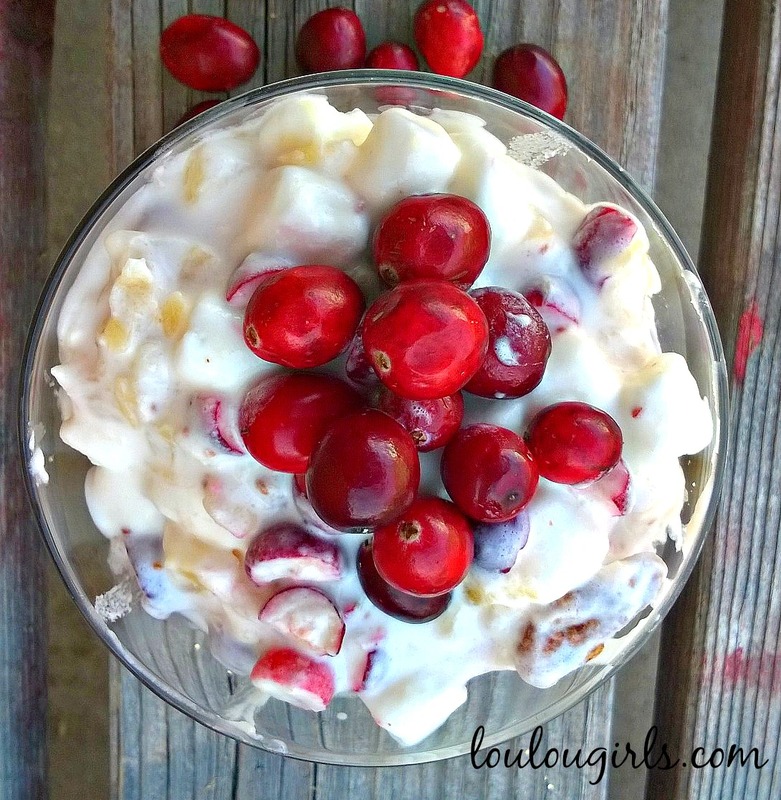 In a bowl, mix together the chopped cranberries and the sugar. Cover the bowl and put in the fridge for a couple of hours, you can do it overnight. In a different bowl, whip the cream until stiff. Combine cranberries, walnuts and pineapple in a large bowl. Fold in the whipped cream and marshmallows. You can serve immediately or you can put it in a airtight container and freeze until ready to serve. Thaw slightly and serve by itself or in a dessert dish with a splash of 7-up! This would be great on the Christmas Table!! Thanks for sharing on My 2 Favorite Things on Thursday! See you again tomorrow! Pinned!